Foxglove watercolor, a pink delight. Foxglove digitalis – are an interesting flower to paint because they have many different blooms. I chose to show each one uniquely painted with detail depth as in nature. Imagine this flower surrounded by dozens of these botanical garden flower stems, it is nature giving us a smile. Palette: deep green, pink, pink, poppy red, soft yellow, white, cream, green,brown. Check out more of my botanical nature art here. Visit my studio shop at Between The Weeds here. Believe you can have it or be it. Original iris nature art watercolor painting, a botanical garden watercolor is a garden landscape by mature artist, Laurie Rohner. My painting is a realistic detailed painting of blue iris against dark green leaves and stems. These iris are from the iris gardens in Northern NJ. Imagine a spring day sunny with a gentle breeze and along the back bank of the garden stands hundreds of this wild iris moving back and forth as if dancing to nature’s music. It is one thing I miss about New Jersey. You can buy at Between The Weeds shop Here. 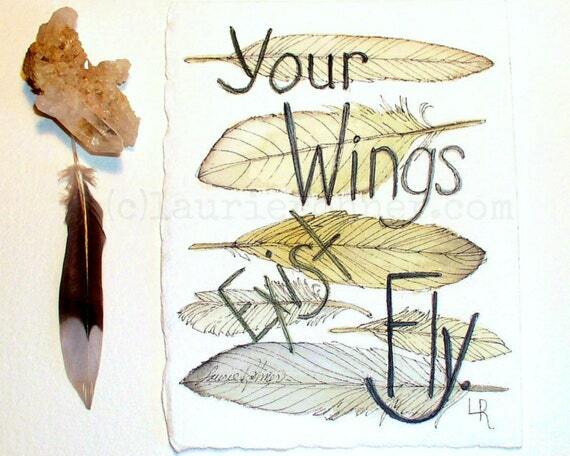 Watercolor feather illustration of woodland nature art quote ‘ Your Wings Exist Fly ‘ is original artwork by Laurie Rohner. I love to spread inspire and share hope and possibility. This is a reminder that we all have wings to fly wherever we want to go in life. Sometimes it is hard to find them but they are always there, that’s it see you found them. Buy art, original watercolor nature art, inspired by autumn and nature, use as wall art. Original art for sale online here at Between The Weeds at Etsy. You will love my individually hand-painted art work. Great for gift giving. Can be framed later. Image size is 5″ x 7″. 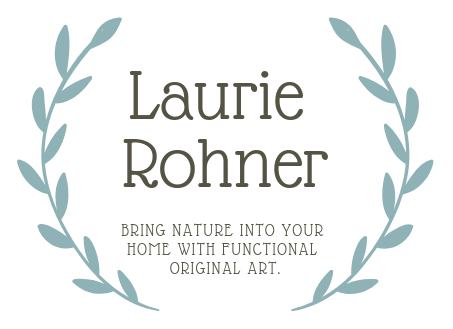 My nature art work is original one-of-a-kind paintings that are suitable for framing. The watercolor art you will receive has its own unique and individual qualities only an original watercolor can give. All of my watercolors are made with the finest archival quality materials – Arches Watercolor Paper and Windsor and Newton Artists Quality Watercolors – and professionally packaged to arrive safely.